Sustainability within the fashion industry is a growing phenomenon, which is continuously increasing and expanding as designers are realising the importance and benefit that sustainable design can have on the world. Sustainable design can be achieved through; environmental sourcing, production of materials, waste process and safety in the work environment, all of which factors can contribute to the reduction of carbon footprint on the environment. 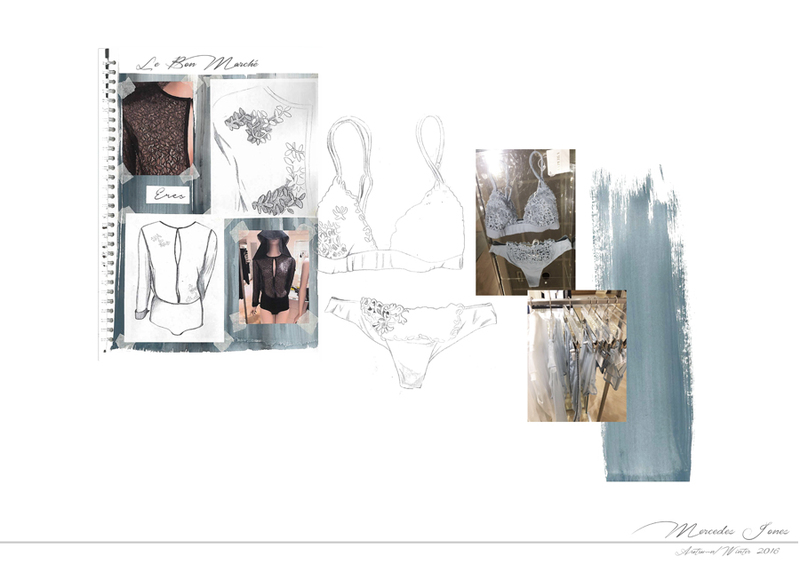 This lingerie collection was thus created in order to raise awareness of the importance sustainable design and cater to the sustainable-conscious consumer through creating statement, luxurious lingerie pieces. In order for the brand to be sustainable and eco-friendly a number of techniques will be used, ranging from the materials, how they will be manufactured, the packaging they come in, through to the recycling and reworking. Premium organic fabric including 100% silk, cotton and satin will be used to create the garments alongside reworked vintage lace and recycled metal hardware. Each garment will be made-to-measure and unique in order to tackle mass production and waste. Natural dying techniques will be intertwined with hand embroidery to create these hand-made, one of a kind pieces. The design is inspired by the ornate, intricate details and decoration of the French rococo movement. 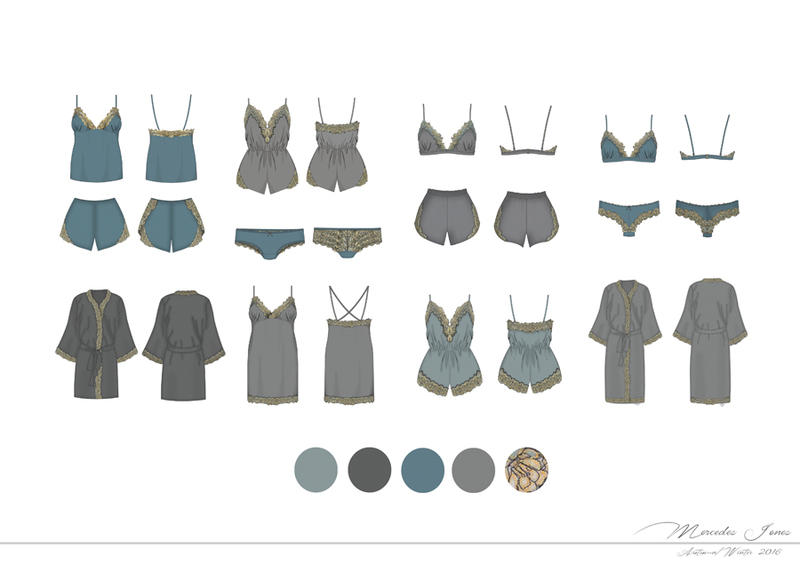 The colour story is inspired by the architecture and interiors of Chateau de Versailles with the steel grey roofing, stormy blue ceilings and gold leaf details. The collection prides itself on being 100% British, hand-made and naturally sourced dyed garments, made from the finest organic silks.